Mobirix has just released a new zombie game for Android “World Zombie Contest” in which the player sends the team of zombies to slay down monsters. 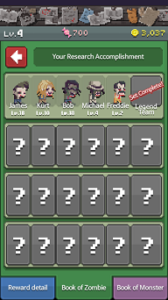 World Zombie Contest is an Idle RPG and all the progress depends on how you upgrade your zombies, resources, and manage candies and coins. In the game, you play as zombies, the goal is to complete all the stages. At the end of each arena, you fight against the boss. In World Zombie Contest game, the player has to take care of plenty of things such as research, upgrading, production, and much more. In this post, we are sharing the guide for World Zombie Contest game and some tips & cheats that will help you to make progress faster than ever. 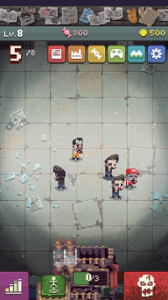 As mentioned above, you have to create a powerful team of zombies to slay down all bosses. The player merges two same types of enemies to get a new zombie. You can upgrade your zombies up to 1000 level. There is limited space in the lobby, you need to upgrade it to keep more zombies. Upgrading requires candies. Level-Up your zombies to increase the damage power and attack power. In World Zombie Contest game, the coin is the valuable resource used in the upgrading of zombies, merging zombies, research, and in many other tasks. The player can collect or gather coins by slaying down monsters in battle. When you get a new zombie, level up, unlocks new zombie, reach a set of zombies, you rewarded with the coins. The more you play, the more you will get the reward. 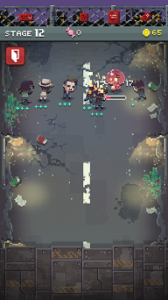 To get a new zombie, the player has to merge two same types of zombies. For instance; Merge two James zombies and you will get Kurt. Do the same with other types of zombies. Tap on the zombie producer machine to get zombies. You can increase the production capacity of this machine by candies. Enable auto-merging and auto production feature from production research section. 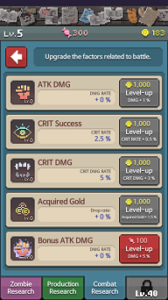 Upgrade all kinds of functions to progress fast in the game. Functions and resources such as the lobby, production speed, capacity, automation. Level-up your zombies to increase their damage power, attack power, and unlock personality. Level up to 1000. High-level zombies help you to slay down the boss and powerful enemies. 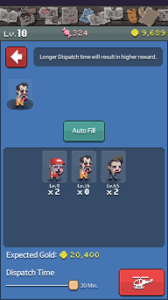 From the combat research section, you can increase the attack, damage level of zombies and increase the other factors’ result related to the battle. In World Zombie Contest game the player uses this feature to earn gold coins. You send one of the zombies from your team and in return, you get thousands of coins. High-level zombies and zombies with high attack power worth more in comparison to low-level zombies. If you are running out of coins, use the dispatch feature and fill your requirements of coins. Most of the features are locked at the beginning of the game. You have to level up to unlock these features. Unlock new zombies to level up. Upgrade all zombies, production resources, combat resources to progress fast in the game. You should upgrade lobby capacity so that you can keep more zombies and a large number of zombies help you to slay down enemies and bosses. Increase and improve the production speed to produce more zombies in less time. World Zombie Contest game features 70 types of monsters and 60 types of zombies. Unlock all, get the reward, upgrade resources, and complete over 900 stages. In the game, you battle against monsters and complete the stages. To save the progress of the game, you have to complete a set of stages. For example – I’ve started from the first stage and failed to complete the stage 9, next time, the game will start from the first stage again. You need to complete the 10 stages in one attempt to save the progress. If you love zombie games, then you should definitely play this game. I will recommend you to play Death Road To Canada also. Download Zombie Contest game – Here[Google Play Store].